UPDATE: as of March 23, 2016 The University of California announced NEW essay prompts for 2016-17. Read about how to answer them HERE. This post is now outdated. The information is no longer relevant!! If you are working on your two college application essays for the University of California freshman application, I’ve put together a short list of my most helpful posts. Prompt 1: Describe the world you come from — for example, your family, community or school — and tell us how your world has shaped your dreams and aspirations. There’s lots more where those came from on this blog! Check the indexed listing of posts on the right sidebar. Keep reading and learning! GOOD LUCK!! NEW University of California Essay Prompts for Fall 2017! 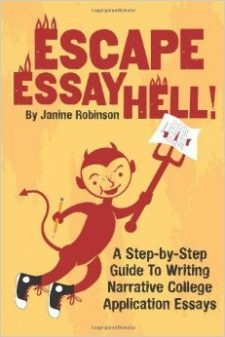 Last Minute Help for UC College App Essay Writers! Hi janine. I was writing my essay for the first UC prompt with the describing the world we come from. My question was that i’m thinking about writing about my experience transitioning from london to Nashville, Tennessee and now to California. Just starting my essay, I used an anecdote about how I reached my gate and and boarded the plane. Then I transition to the meat where I show my experiences in America such as the people loving my accent and other things that was not accustomed to a first. Then I talk about how I used these interactions to when I moved to California and how these experiences have shown me how becoming easily adaptable to change has provided me to excel in the each place I have lived. I didn’t know if this was really answering the prompt and was wondering if you could share your opinion. Looking forward to hearing from you soon. Many thanks, Deepali.